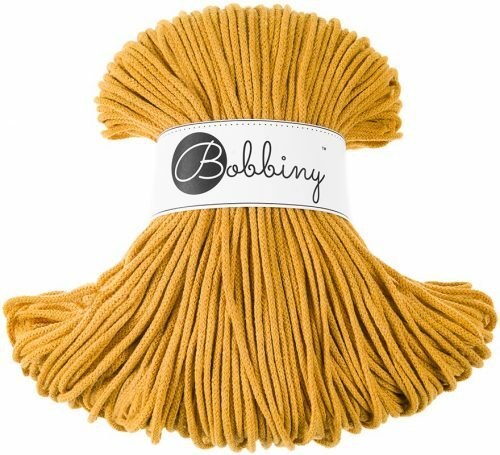 Bobbiny rope is made in EU. It is very versatile and can be used for many chunky crochet and knitting projects.It is the perfect alternative to t-shirt yarn and is durable and flexible. The junior verity is thinner then the traditional t-shirt yarn. It can be used to make things such as rugs, baskets and macramé works. 100 meters weighs approximately 300g. We recommend using 6 – 8mm crochet hook or needles, for your rope projects. Each junior rope is made up of 2 layers, of recycled cotton. We do our best to match the colours but there may be some variation due to differences in monitor displays.